Chhattisgarh results and trends as of 7:50pm show the Congress winning six seats and leading in 62 others, and the BJP winning two and leading in 14 others. 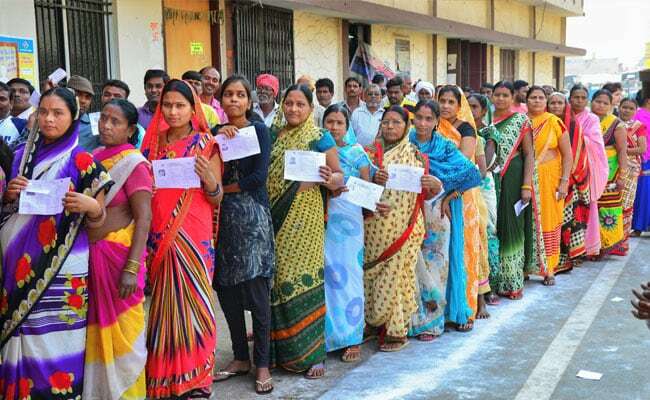 A total of 13 women have been elected to the Chhattisgarh Assembly in 2018, a rise from the 10 and 11 women who became MLAs after the 2013 and 2008 polls respectively, a state election official said today. Counting of votes is currently underway for the 90-member House with results and trends as of 7:50pm showing the Congress winning six seats and leading in 62 others, and the BJP winning two and leading in 14 others. Of the 13 women who have been elected in the 2018 polls, the Congress leads with nine women MLAs while the BJP has one. This figure was six for the BJP and four for the Congress in the 2013 polls, the official said. Renu Jogi, wife of former chief minister Ajit Jogi, who was with the Congress in 2013, has also won her Assembly seat this time from the Janata Congress Chhattisgarh (J). The remaining two women legislators are from local outfits, the official said.